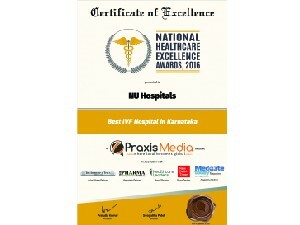 NU Hospital received the prestigious National Healthcare Excellence Awards, 2016 for the Best IVF Hospital in Karnataka. It was the most awaited appreciation for the hard work, dedication and responsible commitments of the doctors, nurses and hospital staff members. 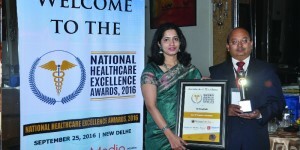 The National Healthcare Excellence Awards is organized each year by Praxis Media, India’s leading media and marketing group, to celebrate and acknowledge those Achievers, Innovators and Leaders of the healthcare sector for their commitment to excellence, best practices and innovative strategies for the continuing development of the healthcare sector. 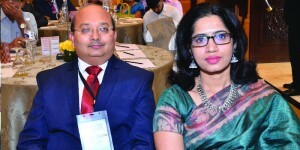 This year the event was held at Shangri-La’s Eros Hotel, New Delhi and the awards were presented to 62 winners at 5 different levels, after an elaborate and meticulous selection process which included inviting nominations from potential nominees, substantial research & surveys, collation of feedback & opinions, screening based on pre-determined judging parameters and subsequently choosing the winners through an independent jury panel. The event was graced by an elite panel of guests and dignitaries which included names like Shri Amar Singh – Hon’ble Member of Parliament, Shri Madan Lal – Former Cricketer, Indian Cricket Team, Padmashree Dr. Jitendra Kumar Singh – National Vice-President, Indian Medical Association, Dr. Ajay Kumar – Council Member, World Medical Association, Smt. Shaina NC – Senior Politician and National Spokesperson, BJP, and Honorary Brigadier Dr. Anil Kohli – Former President, Dental Council of India. There were certain significant parameters according to which they selected the winners from all over India. They nominated the personalities based on their Qualification & Professional Experience, Infrastructure & Facilities, Market Presence & Competition, Growth & Profitability, Quality & Operational Excellence, Financial & Business Acumen, Innovation & Novelty in Services, Ingenuity and Imagination, Sustainability & Environmental Awareness, Job & Impact Potential, Client/Customer & Industry Feedback, Use of Technology & Trends, Efforts for Risk & Setback Mitigation, Previous Awards & Achievements etc. 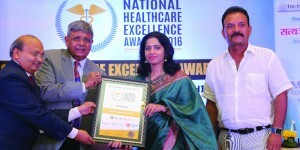 Dr. Ashwini S and Mr. Narayanamurthy V received this award on behalf of the NU Team. The Founder-Director of the Praxis Media Private Limited, Mrs. Swagatika Patel Singh was also present at the event.